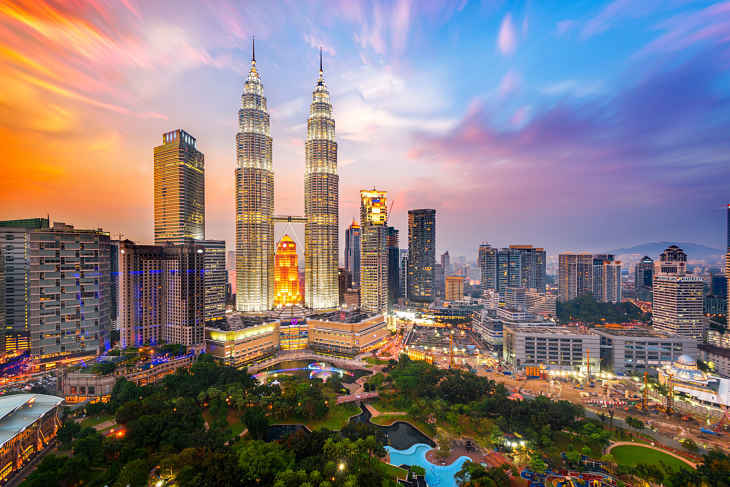 The iShares MSCI Malaysia ETF (NYSEArca: EWM) has been flying under the radar this year, but the biggest Malaysia exchange traded fund is higher by nearly 6% and there could be some catalysts ahead for the big Malaysia fund. Malaysian stocks were emerging markets laggards last year. EWM fell 4% while the MSCI Emerging Markets Index jumped almost 11% and that was after the Malaysia ETF rallied to start 2016. That after EWM was beset with corruption woes in Malaysia, making the ETF a laggard relative to broader emerging markets benchmarks. For example, EWM trailed the MSCI Emerging Markets Index 450 basis points in 2015 and by nearly 800 basis points in 2014. “As demand for commodities waned last year, Malaysia observed a sharp decline in revenues from key exports, particularly oil and gas. Although the country grew a robust 5.3% in the first half of this year, the second half is expected to play out differently,” according to a Seeking Alpha analysis of Malaysian economics.